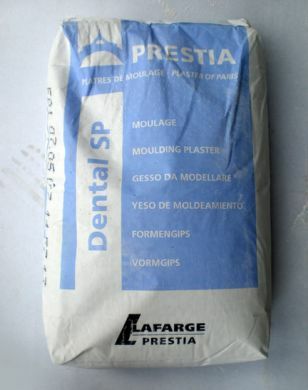 Dental SP Plaster is a quick setting beta dental flasking plaster also good for general purposes. Manufacturer :- Prestia Lafage. Plaster/Water ratio: 1.45kg/Litre.